●	Dyslexia is the most common learning disability. ●	One in five people suffers from dyslexia. ●	Dyslexia isn't a disease, and there is no cure. ●	People with dyslexia are usually more creative and have a high level of intelligence. ●	Children have a 50 percent chance of having dyslexia if one parent has it and a 100 percent chance if both parents have it. ●	Dyslexics don't see words differently but instead have a deficit in interpreting left and right. Under Arizona’s Move On When Reading law, as of this school year third-graders whose reading scores fall “far below” average on a statewide assessment won’t advance to fourth grade. Saying that could discourage children with dyslexia, a state lawmaker wants to provide students with the learning disability an opportunity to move on regardless. “Kids feel like they’re just dumb, and they aren’t dumb. They are quite brilliant,” said Sen. Kelli Ward, R-Lake Havasu City. The Move On When Reading law already allows exemptions to those for whom English isn’t their native language or who have disabilities such as autism, hearing, vision or language impairment and traumatic brain injury mechanisms. Those exemptions require approval from a school district or charter school’s governing body. Ward proposed SB 1461, which would allow parents to request an exemption for children who don’t meet conditions already covered by the law and who have a speech and language impairment or a significant reading impairment such as dyslexia. Parents would have to make the request within 30 days of finding out that a student will be held back and must include documentation and a rationale with their requests. School districts or charter school governing bodies would have 30 days to accept or reject requests. The bill won a unanimous endorsement from the Senate Education Committee and was awaiting consideration by the full Senate. Ward’s bill defines dyslexia as a “brain-based learning difference” that impairs a person’s ability to read and spell that is independent of intelligence and that typically causes a person to read at levels lower than expected. The U.S. Department of Health and Human Services estimates that 15 percent of the population has the disorder. The bill also would permit teachers to earn continuing education credits for time spent participating in dyslexia training, screening, intervention, accommodation, advocacy and technology. “They are having trouble treating children who have dyslexia and making sure they are getting the appropriate services that they need,” Ward said. Meredith Puls, president of the Arizona Branch of the International Dyslexia Association, said she hopes the education credits provided by the bill would be an incentive for teachers educate themselves about dyslexia. “The problem is that educators, with the best of intentions, do not understand what dyslexia is and what kind of instruction works for kids with dyslexia,” she said. Most schools don’t have the resources to diagnose and treat dyslexics in a classroom setting, Puls said. Some children with dyslexia whose parents cannot afford private schools or tutoring are placed in resource groups at their schools where specialized teachers can work with them, she added. Puls said there should be standards for what teachers should know so that they can accommodate students who have learning and reading disabilities. 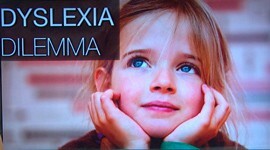 Ward wrote the bill with help from Decoding Dyslexia, a national group of parents that promotes awareness and provides support for children with dyslexia and their parents. Jen Kasten, a member of Decoding Dyslexia and the parent of a child with dyslexia, said dyslexia can make learning very frustrating because those with the disorder cannot process words and read and write as easily as other students. They often drop out of school because they are discouraged and embarrassed or can be left feeling stupid or lazy, she said. Kasten said kids with dyslexia should be allowed to move through grade levels with their peers. Ward said she hopes the bill increases awareness about dyslexia so children can get diagnosed earlier and can get the help they need to succeed. “It is a small step in the right direction,” she said. 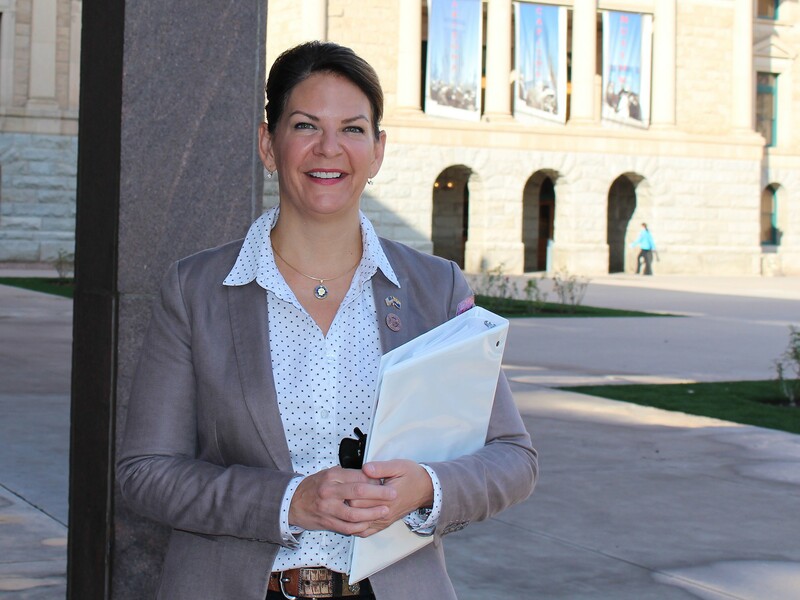 Saying that holding back third-graders who have dyslexia would discourage them, state Sen. Kelli Ward, R-Lake Havasu City, wants to provide those with the learning disability an opportunity to move on regardless. 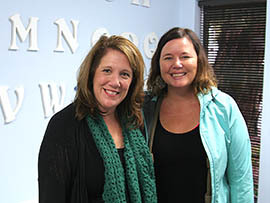 Jen Kasten, left, and Meriah Houser, members of Decoding Dyslexia and the parents of children with dyslexia, say students with the condition benefit from moving up in grade levels with their peers. 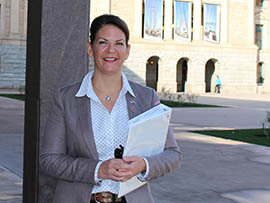 State Sen. Kelli Ward, R-Lake Havasu City, authored legislation that would allow parents of dyslexic third-graders to request exemptions from the state’s Move On When Reading law.